An advantage of the low season is that all businesses are trying harder to drum up customers. Although the barfines may be the same, there will be more choice as the customer to sales person ratio now favours you. 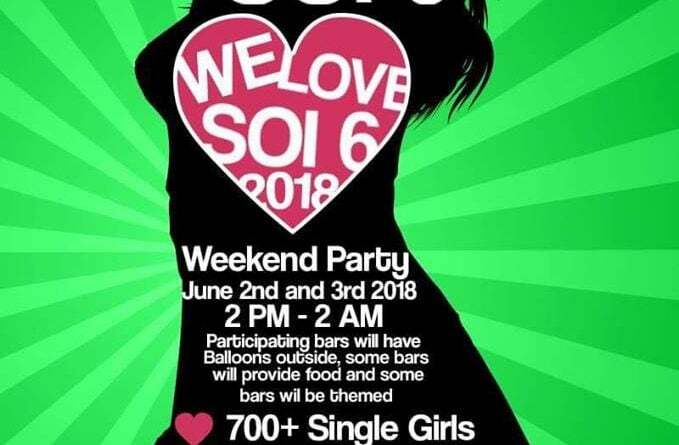 Plus the bar owners of soi 6 think of different kinds of promotions to get more punters through. For example, the soi 6 street party. It is usually quite likely that you will spot a pig roast or a live band set up somewhere along the sois, to draw in the crowds. Happy hours are extended. 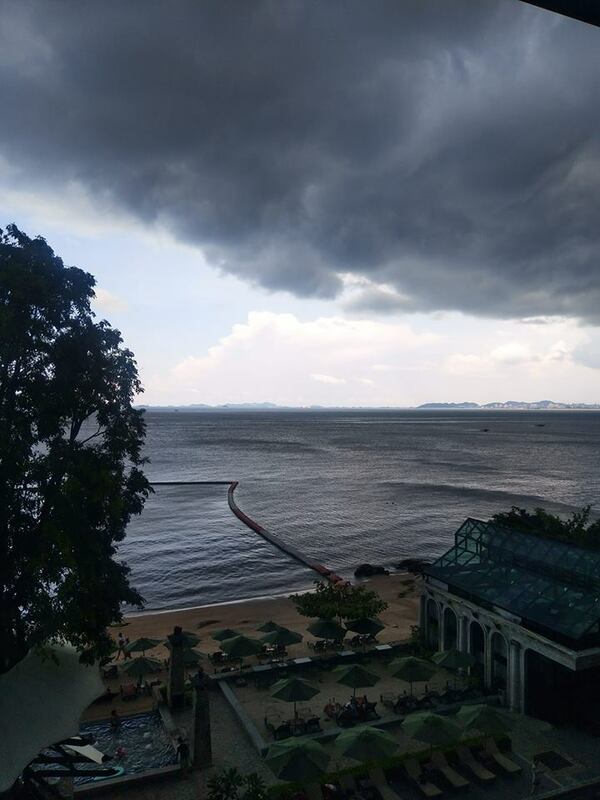 It may be surprising to people not used to Thailand’s weather, that in wet season thunderstorms bring torrential rain and meanwhile it is still 37° outside. To be honest it is not that inconvenient. If you are on holiday you probably do not need to get somewhere urgently and in the worse case scenario that you do have a pressing need to go somewhere nearby, a poncho and a pair of flipflops from 7-11 will set you back less than the cost of the motorbike taxi. In Thailand, the attitude is cha-cha (ช้า) “slowly”. Have a seat and a drink and the rain will pass. You can also say this to the crazy Bangkok taxi drivers when they drive too fast. Most storms pass by in an hour or two and rarely is it constantly raining all day. Another possible option to use the time is to try dating apps – as mentioned in our dating app guide. You can try badoo, tinder, thaifriendly and others to bring a partner to you, saving the hassle of having to go outside and brave the weather. Generally, if girls cannot get to work because of the weather, then they will still need to eat, and Thai ladies are always playing on their phones, so you can use this to your benefit. Just remember that many unscrupulous ladyboys will forget to mention that they were not born as ladies but rather became ladies when they write their online profile. Pictures can be very misleading with not only makeup but camera angles and filters applied. That being said it is perfectly possible to find a gem on TF and many do, however it is up to you to decide if their premium service is worth it, we generally think not since there are so many free ways to meet women in Pattaya without bringing out a credit card. Another advantage of the rainy season is that hotel prices drop super fast. As much as half price or less compared to the peak months. We recently booked a room for a friend for 900 baht per night that would usually cost 2000 or more. Go to the booking sites and check it out, play around with dates as well as sometimes choosing different combinations such as weekdays only, 7 nights or more and doing separate bookings will give you a better price. Dont forget to check our list of girl friendly hotels. There are plenty of suggestions to avoid paying the dreaded, Joiner Fee.